Company plans on incorporating expertise in engineering, product development, and customer applications for cobot pioneers. ODENSE, DENMARK – Universal Robots is hiring more than 20 Rethink Robotics staff members, merging UR’s Boston office with Rethink’s former headquarters in the Seaport area in Boston, with immediate effect. These key personnel bring extensive collaborative robotics experience in engineering, product development, and customer applications, which will combine well with UR’s expertise to continue to drive new and innovative collaborative robotics solutions. Collaborative robots, now the fastest-growing segment of industrial robotics, is forecast to grow from $283 million last year to $3.26 billion in 2022, according to BIS Research. 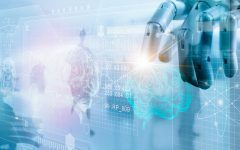 Universal Robots’ market-leading growth means continually adapting the company structure and processes to deliver its ambitious targets for 2019 and beyond. The addition of key Rethink Robotics personnel will help expedite UR’s strategic ambitions and actions. Universal Robots offers a future-proof roadmap for customers of Rethink’s Baxter and Sawyer models, and is ready to help those customers transition to UR cobots. Read more about that at www.universal-robots.com/rethink.